Sunday golf bags have become increasingly popular among both novice and seasoned golfers for several good reasons, most notably because they are a joy to carry owing to their sleek and compact designs. Buying the best Sunday golf bag however can be an overwhelming task, owing to the myriad options available. But researching this segment, and comparing several options, we’ve rounded off on three great options that will make you look and feel like a star on the green. The ProActive Sports 5" Sunday Bag sets the benchmark for what a high-quality Sunday golf bag should be. It is crafted entirely from polyester, making it easy to clean, and enhances its strength and durability. The bag showcases a compact footprint, and takes up very little space in a camper, trailer or trunk. Additionally, it can be easily folded and stored away when not in use. It is equipped with a comfort-padded shoulder strap, and a conveniently placed handle on the side to pick it up easily and head to the next hole. Even though it screams sleek design, the interior of the ProActive Sports 5" Sunday Bag surprisingly comes with dedicated compartments for tees, balls and other essentials you may need on the course. In terms of space, the bag can accommodate roughly six clubs, and can even be worn cross-body similar to a messenger bag. Measuring 5 inches in diameter when opened and 34 1/4 inches long, the ProActive Sports 5" Sunday Bag is an ideal choice for anyone looking for a Sunday golf bag that lives up to its expectations, and is built tough for excellent service life. Several dedicated compartments for balls, tees, etc. The Pitch and Putt Sunday stand bag by JEF World tips the scales at just 2 lbs., and arrives complete with a 4.25-inch oval top. It is spacious enough to accommodate eight golf clubs and easily gain access to the clubs, and is fitted with a stand to prop the bag on the grass. The Pitch and Putt Sunday stand bag features a zippered pocket at the front that can hold up to 10 balls, and is comfortable to carry around the course with its onboard, adjustable strap. Adding to this, it is appointed with a Velcro glove strip to secure your gloves when not in use, and a corded bottle holder to accommodate a mid-size can or bottle. For a Sunday golf bag that offers the best of both worlds – generous spacing and long service life – the CaddyDaddy Ranger Carry Sunday Range Travel Bag is definitely worth a close look. Available in a choice of two exciting color combinations – black/blue and black/silver – the bag features a sleek design with its 5-inch rigid tube, and rests on a sturdy, molded base. The CaddyDaddy Sunday golf bag is crafted from highly durable and easy-to-clean 1680 denier nylon, and measures 51 inches in length to easily hold up to nine clubs and 460cc drivers. 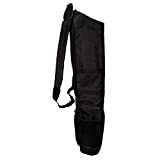 In terms of spacing, the CaddyDaddy Ranger Sunday golf bag doesn’t disappoint with 3 zippered pockets and a towel ring. Weighing just 3.5 lbs. when empty, the CaddyDaddy Ranger Sunday golf bag is fitted with a rubber handle for an excellent grip, and a plush padded strap to carry it across the course without breaking a sweat. To top things off, the CaddyDaddy Sunday golf bag comes with a padded top, which protects your clubs from wear and tear and wet weather conditions, and a 1-year warranty against manufacturer defects. Sunday golf bags provide several benefits to golfers, including that they only have room to carry the essentials needed on the course resulting in a lightweight bag. Shopping for the best Sunday golf bag will leave you spoilt for choice, because there are just too many options to choose from. But we’ve narrowed down on three of the best options available to help ease your buying decision. To recap on some of the great features the three bags offer, the ProActive Sports 5” Sunday golf bag is made from high-grade polyester, which makes it extremely durably and easy to clean. Although it features a basic design, the bag comes with a couple interior and exterior pockets and a padded shoulder strap to haul it around with utmost comfort. 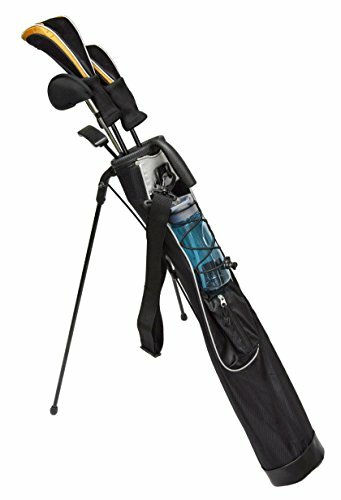 Next up on the list is the Pitch & Putt Sunday golf bag, which comes with a few more impressive features than the ProActive model such as an integrated stand to set the bag sturdily on the grass, Velcro glove grip, corded bottle holder, and a zippered pocket that can hold up to 10 golf balls. 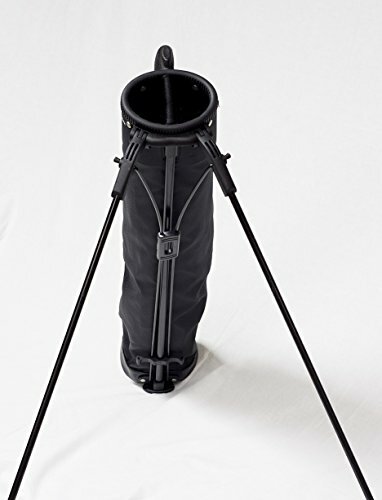 Even though the CaddyDaddy Ranger Sunday golf bag slots in at the #3 position, it does not fall short of great features such as an onsite towel ring, padded top to protect club heads, rigid tube and molded base and three lockable zippered pockets. Adding to this, the bag is available in a choice of two, highly appealing color combinations, making it easy to buy a Sunday golf bag that matches your golf gear.